September 6 – Rostec CEO Sergey Chemezov said that Rosoboronexport was planning to sell more than $13 billion worth of weapons in 2016 and arms exporter has already sold arms at a cost of $7 billion. Russian state arms exporter Rosoboronexport has sold $7 billion worth of weapons over the past eight months, the company’s deputy director general told Tuesday. Earlier in the day, Rostec CEO Sergey Chemezov sa…id that Rosoboronexport was planning to sell more than $13 billion worth of weapons in 2016. “This year’s plan stipulates sales of arms worth some $13 billion, we have already sold [arms] at a cost of $7 billion, that means more than a half [of our target],” Sergey Goreslavsky said, speaking at the Army-2016 military forum. He added that Russia would receive large payments under its contracts with Iran and China by the end of the year. Rosoboronexport is responsible for over 85 percent of Russian arms and military technology exports, according to the Rostec state technologies corporation, which owns the arms exporter. The Russian Defense Ministry’s Army-2016 forum is taking place on September 6-11 in Kubinka, a western suburb of Moscow. The forum brings together representatives from the Russian defense industry, research institutes, universities, as well as foreign companies. Over 800 Russian and foreign participants are expected to be involved in some 7,000 exhibitions throughout the week. 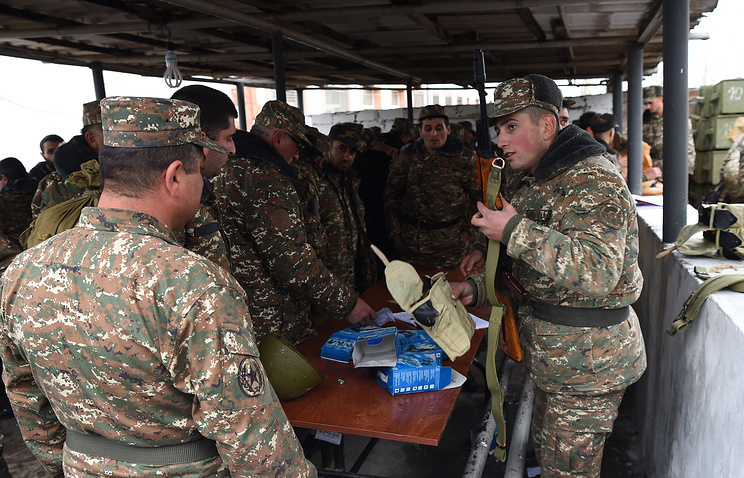 The forum’s participants and guests will attend a number of conferences and roundtables to discuss the future development of military technology. The expansion of American arms exports leaves the military-industrial complex at risk of being overtaken by countries who scooped up defense secrets without the cost of research and development. On Tuesday, US defense industry analysts offered a report claiming that American military contractors will be overtaken in coming years by defense contractors in Israel, South Korea, and Brazil, marking an end to Western dominance over war profiteering. The report, “Dynamics of International Military Modernization 2016,” authored by Daniel Yoon and Doug Berenson from Beltway consultants Avascent blamed American military exports for the market threat, as countries buy arms at a cut rate to back-engineer US weapons technology. “In many cases, these emerging players developed through diffused technology via prior export arrangements with Western suppliers, often through offset requirements and domestic industry participation,” stated the report. In layman’s terms, foreign countries purchase US arms to steal American know-how, avoiding the burdensome taxpayer-subsidized cost of research and development. US weapons-manufacturing expertise has been suggested as being in decline primarily due to Washington’s reticence to engage in war, opting instead to be the Walmart of weapon retailers for the world. In addition to the rapid growth of weapons manufacturing expertise in Israel, South Korea, and Brazil, the US contends with other leading arms exporters, including Russia and China, who offer high-end military technology. Analysts also suggest that the American military-industrial complex will soon forfeit market share to other nations, including Japan and India. The report claimed that Israel may soon become the world’s premier supplier of radar, missile, and drone technology, noting that the country’s unmanned aerial vehicles are competitive with US hardware. South Korea looks to make its mark in air superiority with the development of an indigenous fighter jet and a next generation T-50 design. In addition to the aerospace field, South Korea excels in the production of destroyers, frigates, amphibious assault vehicles, and assault submarines, the report said. Brazil, by contrast, looked to occupy the lower-tech echelons of the market, at a cut-rate price exploiting a niche in light attack aircraft thanks to a partnership with Saab to produce the Gripen fighter. American military superiority is thought to be endangered by the growing export of defense technology throughout the world, leading some analysts to worry about the future of the US weapons industry, and the safety and security of the country. As Vladimir Yereschenko, chief, regional department, Rosoboronexport, and head, Rostekhnologii-Rosoboronexport joint delegation, has told TASS at the Defence Services Asia 2016 arms show (DSA 2016), Russian weapons and military equipemnt are in high demand at the Asia-Pacific arms market. “Rosoboronexport’s largest arms deliveries have been made to Asia-Pacific nations as usual,” Yereschenko added. At the same time, Rosoboronexport has seen a spike in orders awarded by Middle East and North African states recently. The Project 636.3 (NATO reporting name: Improved-Kilo class) and Amur-1650 submarines, Project 11356 (Krivak-V-class) and Gepard-3.9 (Gepard) frigates and shipborne weapons are the most promising for promotion in Asia-Pacific, Yereschenko said. Responding to a TASS correspondent’s question about the state of affairs in promoting Russian naval weaponry in Asia-Pacific, the head of the delegations said Russian-built naval materiel ranging from submarines to hovercraft and coastal defense missile systems was in service with the Vietnamese, Indian, Indonesian, Chinese and South Korean navies. “We have been aggressively offering integrated protection and defense systems for the littorals and ports under our advanced large-scale Integrated Security Systems program,” Vladimir Yereschenko added. Estimating the military-technical cooperation between Malaysis and Russia, he pointed out that Russia is willing to offer Malaysia cutting-edge fighters fully satisfying its needs. “Malaysia has not issued tenders for an advanced fighter yet; hence, it is premature for us to announce that we will bid. 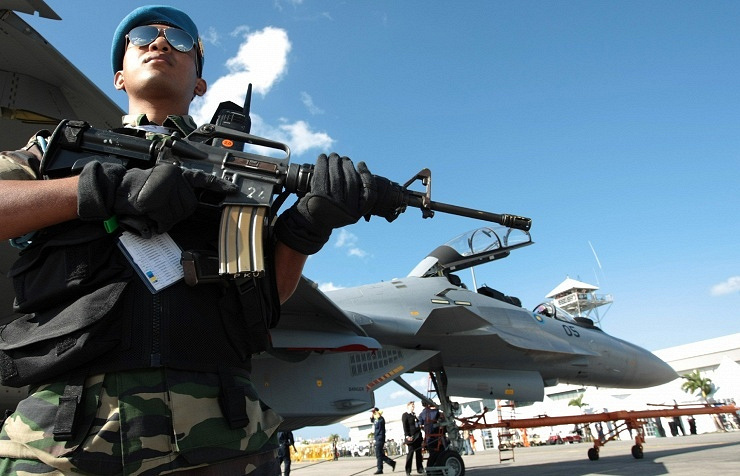 At the same time, Russia is ready to offer a fighter meeting Malaysia’s requirements completely,” the head of the delegation told TASS, fielding a question about Russia’s bidding in an advanced fighter tender for the Royal Malaysian Air Force. Rosoboronexport’s representative emphasized that the exportability of Russian armament has always been high in Asia-Pacific. “Today, it is boosted by the successful use of Russian weapons on large-scale counterterrorist operations. When customers need weapons for something more serious than parades, they turn to us,” Vladimir Yereschenko said. “The Royal Malaysian Air Force has been operating Russian-made [Sukhoi] Su-30MKM [NATO reporting name: Flanker-H] fighters with success. A maintenance and repair center has been set up for them, an up-to-date simulator has been supplied, and the relevant infrastructure has been provided under an offset program. Therefore, the acquisition of Russian-made fighters seems to be logical and efficient in economic terms,” Yereschenko stressed. 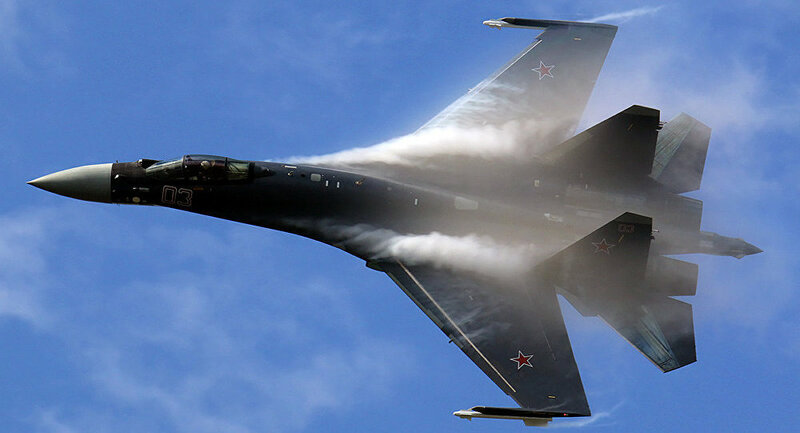 According to Yereschenko, special attention will be paid during the show to the further refining of the aftersales support of the Russian-made aircraft operated by the Royal Malaysian Air Force and to the overhaul of its Sukhoi Su-30MKM fighters. According to the Stockholm International Peace Research Institute (SIPRI), Malaysia awarded Russia the contract for 18 Su-30MKM fighters in 2003, and the delivery had been completed by 2009, with the deal’s value being about $900 million. 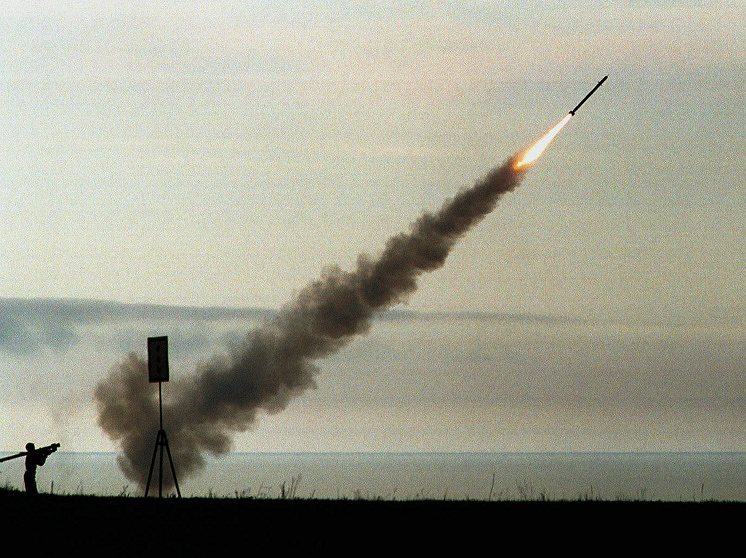 Rosoboronexport is expecting keener interest in the Club missile system – an export version of the Kalibr (NATO reporting name: SS-N-27 Sizzler) – on the part of potential customers in Southeast Asia and other corners of the world, Yereschenko said. “The interest in the Club missile system, which we are promoting on the global market, has always been keen, because the system is among the armament types boosting the strike capability of a navy,” the head of the delegation said. “Now, we expect potential customers in Southeast Asia and other regions to express higher interest in it. 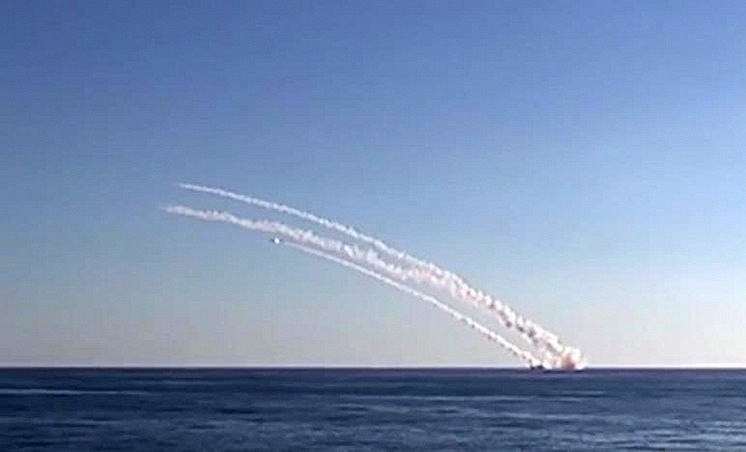 Actually, this goes for both the Club missile system proper and the submarines and surface ships it equips,” Rosoboronexport’s representative emphasized. Russia expects Indonesia’s Navy to continue purchasing Russian-made BMP-3F infantry fighting vehicles, he said. “The BMP-3F infantry fighting vehicles in service with Indonesia’s Marine Corps have proved their efficiency,” Yereshchenko said. “Vehicles of this type are superior to their rivals by operational characteristics, combat capabilities and the cost-efficiency ratio,” he added. “Thus, we expect the Indonesian Navy to continue purchasing BMP-3F infantry fighting vehicles,” the delegation head said. According to the Stockholm International Peace Research Institute (SIPRI), Indonesia has received 54 Russian-made BMP-3F infantry fighting vehicles. 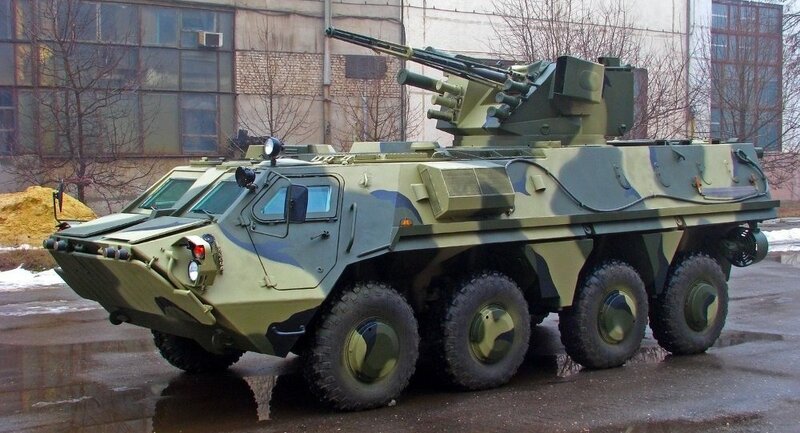 Russia delivered 17 BMP-3F infantry fighting vehicles in 2010 and 37 vehicles of this type in 2014. The total deal was worth $164 million. According to Yereschenko, the Verba man-portable air defense system (MANPADS) will allow Russia to maintain its positions on the MANPADS market. “The participants in the exhibition and its visitors showed great interest in the system. The Verba man-portable air defense missile system will allow Russia to maintain positions in this market sector steadily in the coming years,” he added. According to the delegation head, Russia has traditionally held the leading positions on the man-portable air defense missile system market. Thus, Russian-made systems are in stable demand in all the regions of Russia’s presence. “We continue promoting Igla-S man-portable air defense missile systems in the Asia-Pacific region, as well as surface-to-air missile complexes developed on the basis of standardized control systems and launchers with Igla-S system missiles,” Yereshchenko said. The article was published on the ‘Russian Defense & Technologies’ newswire.